The majority of my outfit decisions are made based on comfort and simplicity, so when SheIn contacted me to choose something to wear from their site I decided on this easy, effortless black co-ord set. 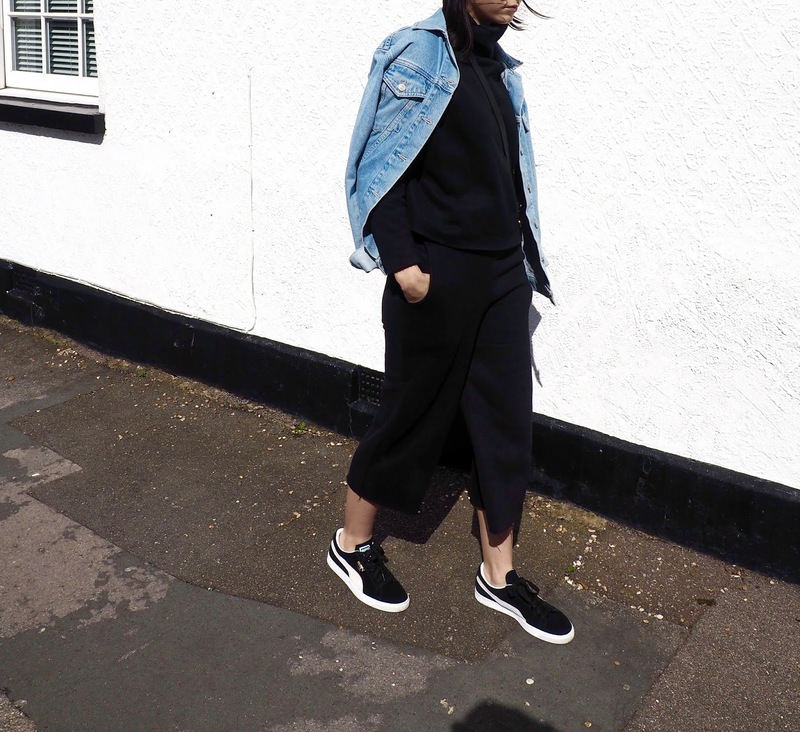 It ties in well with the loungewear trend which I absolutely love and this style is very similar to a tracksuit because of the material but has fashion elements of a roll neck and wide, cropped leg. 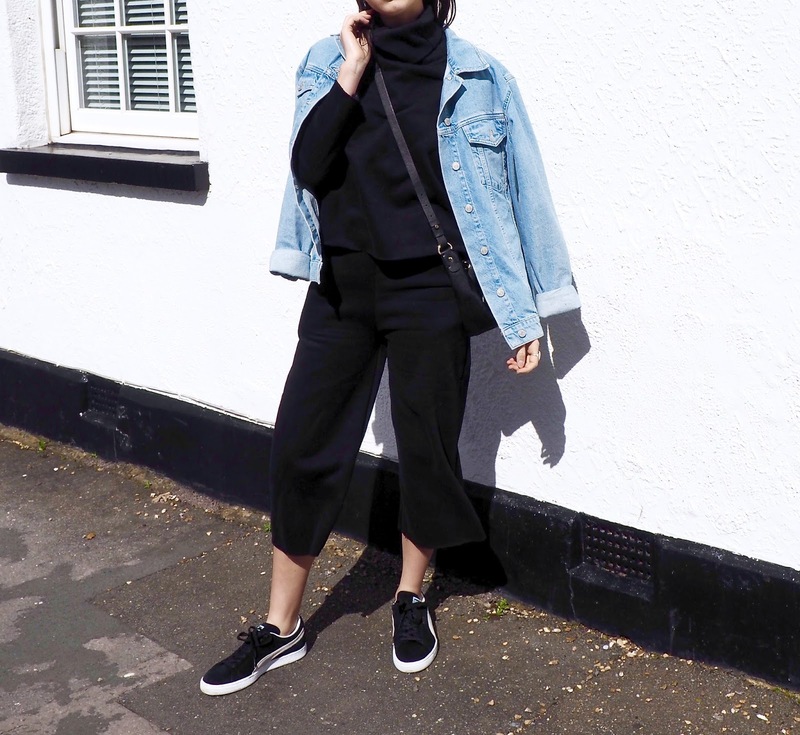 I always love a co-ord as you get 2 in 1, and especially as this is all black, it is very easy to mix and match with jeans and jumpers to create a range of different looks. 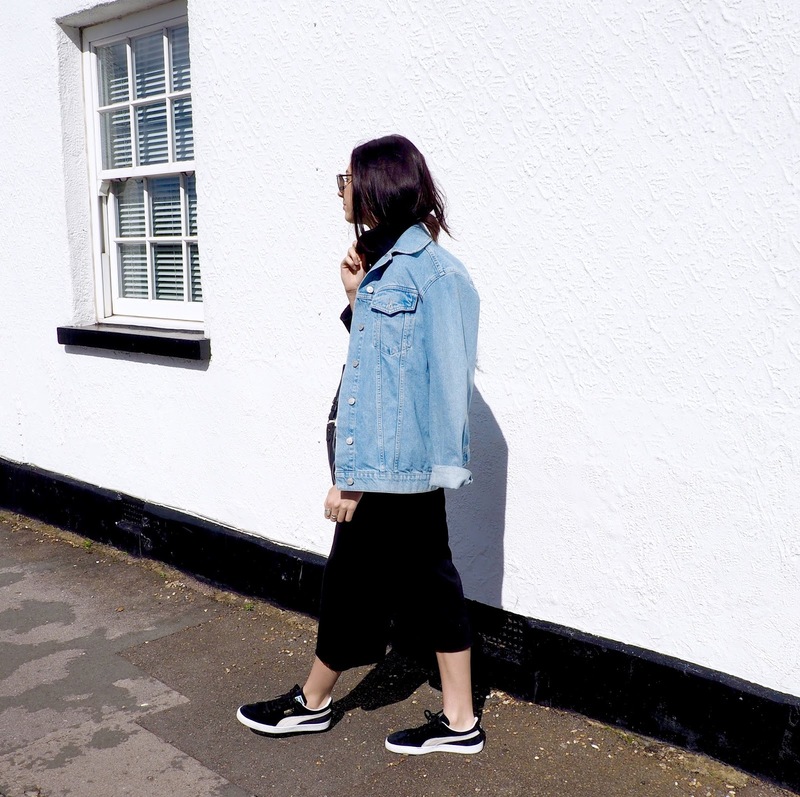 Lightening up the all black with a blue denim jacket, a cross-body bag and a pair of black Pumas to add to the off duty look. 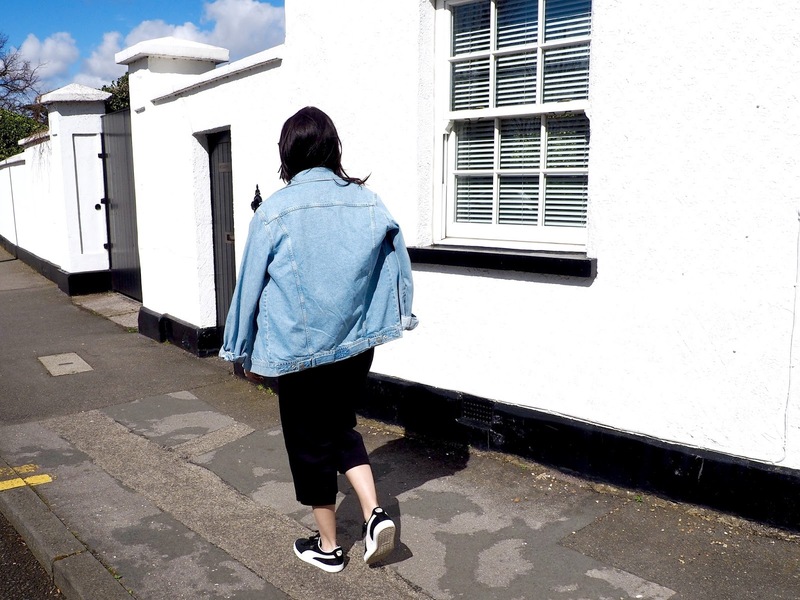 I love the whole black with the combination of jean jacket! Abs gorgeous. I absolutely love your personal style; the all-black outfit contrasts so well with the denim jacket and the length of the trousers is perfect! I've fallen in love with black cause it's so chic & easy to match! Loving the effortless feel and those Pumas! I love all black outfits! You look gorgeous! Love everything about this outfit, so cool. Your experience looks amazing, loved your outfits and images! All black and the pp of denim jacket is amazing style<3 you look stunning! In other sense, the clipping path is like creating a path that will remove the bars from the photo. As the name suggests, it clips a path. It points that the path that you not need gets clipped. The Clipping Path Service Provider is able to bring the change in the photos. Applying the Photoshop tool, the provider does the task. Read the best Foot Massager Reviews of 2019 In the following article, we present the top 8 models available today and reveal their pros and cons.